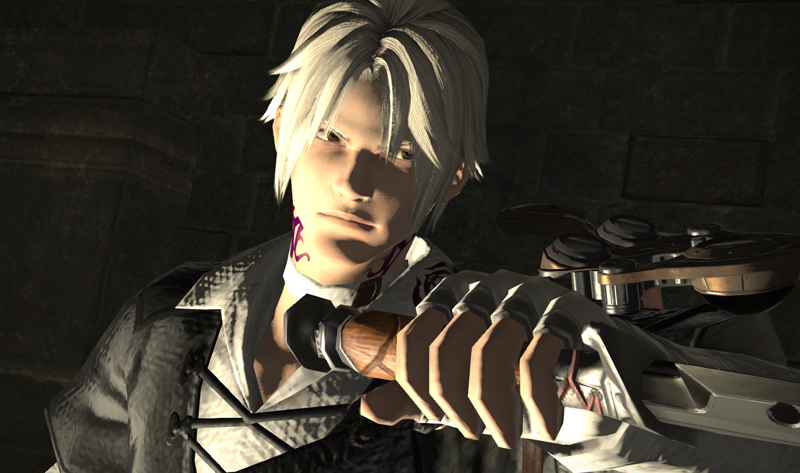 Very, very slight spoilers for FFXIV 2.55. I won’t say anything too spoilerish, but pictures I display are from the final cut scenes of 2.55. Now that I’ve had a bit of time to digest the end of the FFXIV 2.0 era storyline and discuss the plots and characters with Syn (yes, this MMO story had two writer friends discussing it days afterwards), I wanted to spend some time talking about MMO story done right. 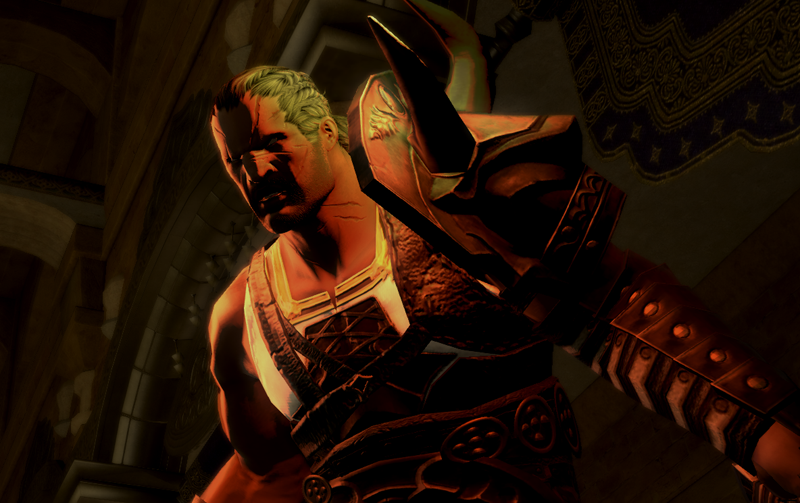 In a previous article, I discussed how many MMOs produce mediocre story at best… and how gamers either are ambivalent towards story all together, or just accept that’s the best we can get. FFXIV proves there are MMO developers out there who won’t be content with weak story and characters. This pleases me greatly. 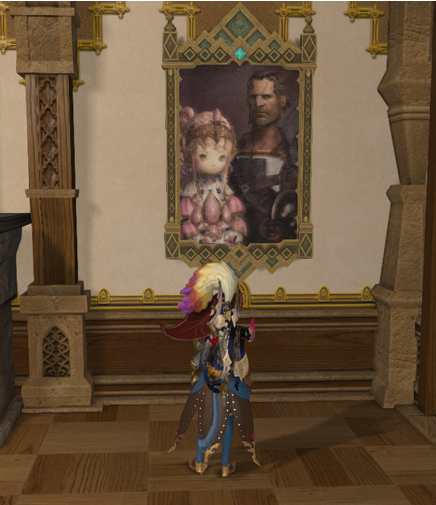 Now, I won’t say FFXIV is the best story in the whole world. It has its quirks, and obviously takes a page from anime/manga style storytelling (which doesn’t bother me). However, when I play any game with a story, I play it as a writer. I look for characters to identify with, characters who I learn to love and who develop over time. I poke holes in the plot weakness and look for inconsistencies. I don’t accept cliche tropes and can very rarely suspend disbelief for those times a game really streeeeeeches to try and make things fit together in the story. In the case of FFXIV’s story, I have always felt the writers knew exactly where the story is going. The plots are often very complex and very interwoven, and our characters see mounting threats from a variety of sources throughout the main scenario. There are times we get whisked off to protect this city and then off to investigate this issue and then off to fight this primal. It makes it very clear that Eorzea is not a world of peace, with dangers on every side, no matter how much we strive to make it so. Despite all the different threads woven into the story, the writers keep it clean and don’t convolute things. I was surprised that I could actually have faith in them to guide us through plots that delightfully foreshadow and then later successfully deliver on things hinted at in previous patches. I’m actually having trouble finding any true plot holes to poke through. I feel that the 2.55 story provided a very good balance between answering the little questions we wanted answered (What does Yugiri look like under her mask?) while still maintaining a lot of mystery and tension in the overarching plots. They masterfully revealed just enough to satisfy while continuing to dangle enough to entice. Heavensward is not just an expansion that flops out a connected continent with a weak reason to go there. Our characters are heading to Ishgard for very, very good reasons, all which are a tantalizing continuation of the events that took place in 2.55. I was very impressed by this – it’s not just a game that opens the gates to a new area. This new area serves a very important purpose, and I have a ton of interest in seeing how my character is going to fare in these new, dragon-torn surroundings. Overall, the plot in FFXIV does everything a good story should. It mixes mystery and political intrigue, friendship and betrayal, hope and despair, murder and mayhem. And it delivers this story through some of the best non-CG cut scenes I’ve seen in an MMO. Seriously, the breadth of expression S/E can get from their in-game character models was jaw dropping. This is the first time in many years that a MMO has crafted characters that I can truly care about. I can’t help but compare the Scions and close companions, whom I’ve come to know and invest in over the last year and a half, with lesser attempts to try the same thing (Destiny’s Edge 2.0 in GW2 comes to mind). I don’t know what S/E did, but it worked. And I cared. I even cried a little. I watched as each of my allies had to make hard choices and sacrifices for that which they really believed in. It ached fiercely each time. I also watched as unexpected allies returned to assist my character in times of need. And those moments were enough to give me the hope that all of the trials my character passed through this game meant something to someone in a much larger way. I understood the sacrifices that were made in looking upon the reflections of those who continue to believe in my character. This game really imparted these emotions and did it very well. I can’t say much more about this topic without giving too things away. Suffice to say, I didn’t know how much of a “home” Eorzea really was to my character until I experienced what I did in 2.55. Story in FFXIV is one of the shining achievements in FFXIV… along with all the fantastic game play this MMO offers. I can’t speak highly enough, and I am so very glad that I have been along for this ride. In a time when story seems to be something nonexistent, tacked on to quest text, or poorly executed at best, it’s truly a breath of fresh air to see there are writers and developers who really value what story can bring to an already top-notch MMO. This may not be for everyone, I know – I’ve heard plenty of folks who give up on the game way too early to see what really lies within. I’ll be the first to admit that the story in FFXIV takes a while to ramp up, but once it does, it doesn’t stop. I’m looking forward to Heavensward now more than ever. The story _did_ take a long time to build up, though. Honestly, I felt like the first… 30 levels or so of progression were more building the world and the characters, and only foreshadowing the plot. That paid off once you got to Titan or so, but until then you kind of had to just hold on and trust that this build-up was going to _reach_ something. I agree it is a slow-building story. There are some points that slow down even after the first main scenario finishes (that first little bit of “story” tosses you at a low level dungeon and some low level guildleves, which I never understood). But after that, the endgame story picks back up and is really well written. You can tell when they hit their stride in newer patches, though. You start to see more voice acting and more elaborate cut scenes. One of the things that helps the story in my opinion is the NPCs in the world. To be specific, if you talk to NPCs involved in an area during and after a Main Scenario Quest, they change their dialogue to fit it like they should. If you talk to most of the NPCs after 2.55, a lot talk about the events and rumors of it as well as two places suddenly lacking a certain amount of people that were there before. That kind of care makes the world evolve around you and makes the world feel that much more stronger. We noticed this, too, and I really like this a lot. I was curious how NPCs were going to respond to my character given the events, especially since my Grand Company is the Immortal Flames. Yeah, that would be awkward. I need to go to Little Ala Mhigo soon. I want to see if there’s anything there to because…yeah. Oh and if you want to see a strong story, go either play Final Fantasy XI or watch the cutscenes at least. All of the expansions have strong stories with Chains of Prometheia being not only the best in the game, but one of the best of the entire Final Fantasy franchise. The game is going into maintence mode after one final expansion this year designed to wrap up the entire story of all the characters and places you’ve seen throughout. It’s still P2P though. 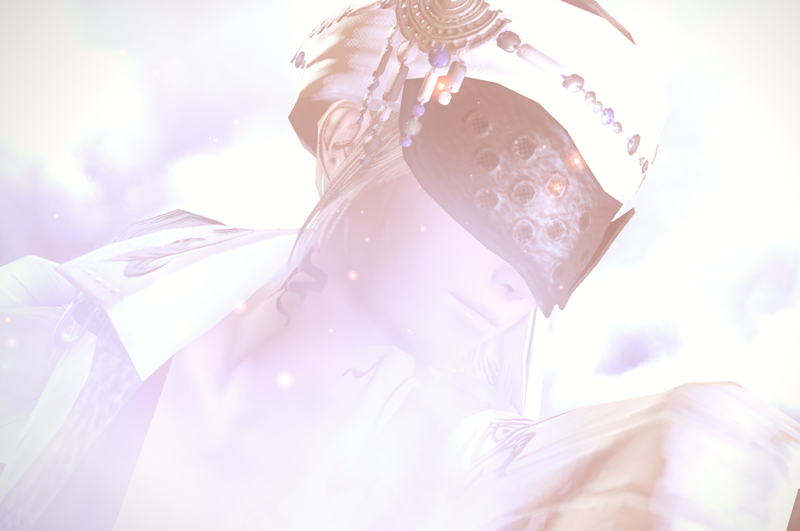 SE does not mess around with it’s story. FFXIV 1.0 had a strong story too. I do like how they have the NPC’s adapt to where you are in the story. It’s a nice little detail touch. Have you heard, according to a recent interview, the FFXIV team had most of the entire patch story planned out since before the first patch even hit? In fact, I’ve heard they have their story planned out up to 4.0 so far. That’s the kind of pre-planning I like to see for a story.